We run a lean outfit, which brings together an abundance of experience, drive, design, intrigue and passion. Staying boutique means each member of the team stays hands on, builds intimate and meaningful client relationships for the long term and achieves speedy turnarounds. All this translates to results. Jonathan brings with him a wealth of experience spanning more than two decades in starting up new enterprises, of which the past 12 years were spent focusing on private equity. He has razor sharp business acumen and has spearheaded many successful projects in various parts of the Asia-Pacific region over the years. Jonathan sits on the board of a number of such companies and in industries ranging from property development, to venture capitalists. He holds double masters degrees in business administration and in economics. • Leading a syndicated consortium to initiate a successful land banking program in Japan. • Leading a syndicated consortium in Thailand and Singapore to strategically acquire land with bespoke debt and equity structures which were redeveloped into residential property. •Restructuring capital, shares and strategic partnerships for an Indonesian based mining company which took them from series A funding to exit. • The buyer consortium in the taking private of a sizable Chinese natural wind energy company then-listed on the New York Stock Exchange. Jay Zhang previously functioned in numerous roles such as an entrepreneur and private investor. He holds a bachelor degree, with a specialization in International Economics, from the Ocean University of China. During the early stages of his career, he served as personal assistant to Dr.Weitzer – a renowned German architect focused on Eastern and Western architecture. In addition, he studied the German’s architectural influence on cultural communications in China. He has more than 20 years of experience in architecture and real estate. In the 1980s, he worked at a state-owned consulting and decision-making institution in Qingdao, China. Schooled in the intricacies of Eastern and Western cultures, he has been involved in the due diligence processes of overseas investments and M&A of SMEs as well as MNCs. He has assisted in the establishment and operations of several companies globally. He has also provided professional consulting services for many clients globally including the United States, Israel, Switzerland, Europe and various regions in China. Jessica graduated from hospitality management from International College of Tourism (Tokyo) Japan and has extensive experience in the customer management sector. With over 10 years of professional background in international companies across hospitality, retail, finance and tech, Jessica is well equipped to handle the fast-changing international corporate environment and managing multicultural conflict resolution. Having spent more than 6 years in Japan, she not only have fluent grasp of the language but also in-depth understanding of business etiquette both in Japan and locally in Hong Kong. Kingsley has over 10 years of residential, commercial and institutional experiences in development operations, bringing about a sharp eye for company’s projects. His previous projects spans across not just Hong Kong and the PRC, but also the budding Southeast Asia markets. Prior to joining company, Kingsley held positions in architecture consultancies, property developers as well as the government. He holds a Bachelor degree in Building Surveying and MBA from the UK. Bonnie obtained a Honours Bachelor of Arts degree from University of Toronto. After graduation, she worked at a few different renowned telecommunication brand companies and media companies in Hong Kong. Throughout her career, Bonnie has established and maintained very strong relationships with multiple media platforms and public institutions with her excellent communication skills. 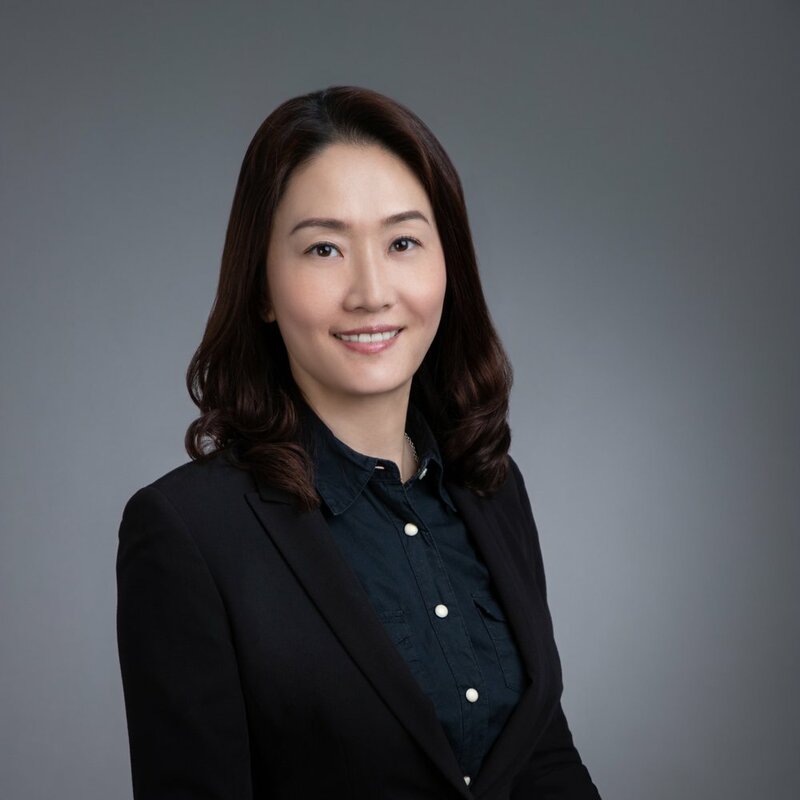 She will bring her relevant past experiences, knowledge and skills to the company and make contributions to the business' consulting services and marketing strategy. Diana developed a solid foundation in corporate finance through successfully completing a Business Administration Degree, majoring in Finance, at Seattle University in the United States. After graduation, Diana worked in a renowned real estate firm in Seattle and was mainly responsible for evaluating clients’ financials and customising loan programs bespoke according to each client’s unique needs and demands. In 2015, Diana joined a well-established commercial bank as a financing specialist in Hong Kong. She experienced with various KYC procedures and AML guidelines. One of Diana’s most recent project experiences was to perform in-depth analysis on the financial health of a listed athletic apparel retail company, and provided direct consultation to potential investors during various roadshows. Tissue is a multi-media designer at our company, and the eye behind its stylish property development promotional and marketing materials, including but not limited to brochures, web design and video editing for ICG’s luxurious development projects. Her past work experience includes many of Hong Kong’s renowned publishers and international production houses, such as Hong Kong Economic Times , Numik and Tekuchi Hong Kong Limited, with an extensive portfolio of graphic design, videos and VR applications for internal projects. With her bachelor degree on New Media Art from the City University of Hong Kong , Tissue is the go-to for chic and creative integrated marketing solutions. Mr Lo is the founder and director of Capella Capital Pte Ltd and Capella Management Pte Ltd, providing venture fund and financial advisory services since 2006. His position encompasses the strategic responsibility of managing the investments of the company as well as sourcing for further opportunities. Prior to founding the Capella group, Mr Lo was employed by a Swedish listed multi-national company, AXIS Communications in 1996. He was then appointed the Asia Pacific sales and marketing director where he stayed on for 9 years. He has concurrently held the company’s Chief Representative position in the China subsidiary located in Shanghai and the director position of the subsidiary/branch in Korea and Taiwan. Mr Lo has a Bachelor’s Degree in Arts and Social Sciences from National University of Singapore (NUS), majoring in Economics. He has also attended the General Management Program at NUS Business School. Mr Lo also serves on the board of Ban Leong Technologies Limited, which is listed on the SGX Mainboard. He was also the Independent Director, Chairman of the Audit Committee and Member of the Remuneration Committee and Nominating Committee of Jackspeed Corporation Limited from 2010-2017, a company which is also listed on the SGX mainboard as well. Dr Ranald Taylor is currently the Chair of Economics in the School of Business and Governance and a Research Fellow at the Asia Research Centre, Murdoch University, Australia. His main areas of interest are on economic growth, particularly the impact of technological progress, international trade, and human capital accumulation on a nation’s economic growth. Ranald has written a book on quantifying the impact of productivity or technological progress on economic growth. In addition to being a highly sought-after speaker at various high level conferences around the Asia-Pacific region, Dr Taylor is a regular contributor to various esteemed scholarly journals around the world examining the relationships between effort, productivity, efficiency wages in the public sector. He has also served as an economics and business consultant to various Australian Commonwealth and State departments on market analysis on China’s energy sector, the benefits of foreign direct investment, market analysis on the international oil and gas services, the dynamics of Western Australian exports, the liberalisation of the telecommunication services, international trade in higher education, the comparative advantage of selected Western Australian exports, and the analysis of China’s food production and its implications on Australian agricultural products.